Want to lower utility bills and save energy? Application, which provides details about the program and the documentation required for applying, is available at www.aacog.com/wap. 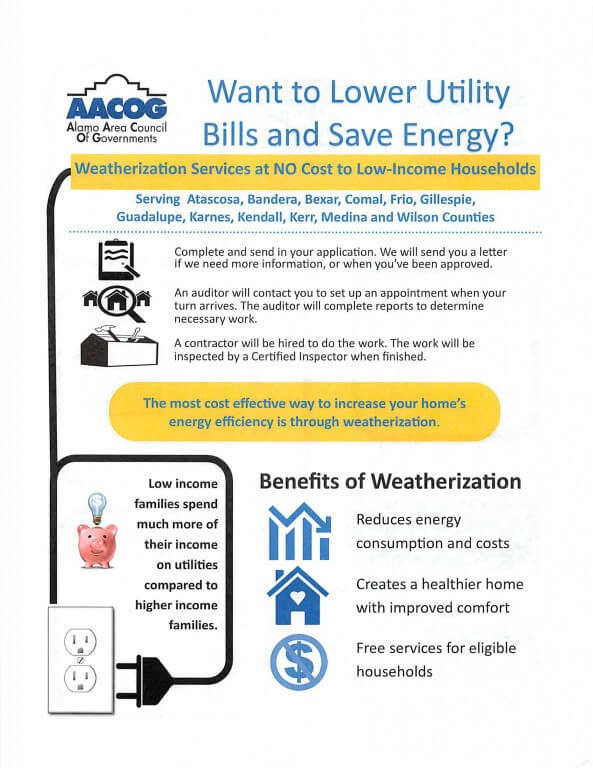 For additional information, please contact the Weatherization Assistance Intake Line at (210) 362-5282 or send an email to wap@aacog.com.